The Holocaust-denying bishop whose rehabilitation caused a rift between the Vatican and Jews has reportedly apologised to Holocaust victims and the Catholic Church for his comments. 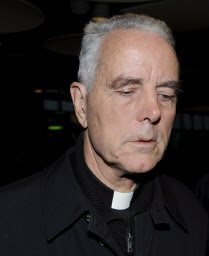 In a statement to the Pontifical Commission Ecclesia Dei cited by Catholic news agency Zenit, Bishop Richard Williamson expressed his ''regret'' for having claimed on Swedish television that there were no gas chambers and only 300,000 Jews died in the Holocaust, not six million. ''I can truthfully say that I regret having made such remarks, and that if I had known beforehand the full harm and hurt they would create, especially to the Church, but also to survivors and relatives of victims of injustice under the Third Reich, I would not have made them,'' he said. Williamson says his comments were the ''opinion... of a non-historian'' that was ''formed 20 years ago on the basis of evidence available at the time, and rarely expressed in public since. ''I apologize before God to all the souls who took honest offence at what I said. ''As the Holy Father has said, every act of unjust violence against one man is violence against all men,'' he added, referring to an address by Pope Benedict XVI last month. The Vatican press office said Thursday it had not been informed of the apology. The Holy See has worked hard to close the rift with Jewish leaders caused by last month's lifting of Williamson's 1988 excommunication. Williamson, a member of the traditionalist Saint Pius X group that split with the Vatican over the liberal reforms of the 1960s, was rehabilitated on January 21. The Vatican says Pope Benedict XVI was unaware of Williamson's views when he lifted his excommunication. Earlier this month the Latin American section of his group sacked the bishop as head of a seminary near Buenos Aires, which he had run since 2003, after he refused Pope Benedict XVI's call for him to retract his comments. Bishop Bernard Fellay, who heads the Society of Saint Pius X, also asked Williamson to recant his ''nonsense'' earlier this month. Williamson, 68, returned to Britain Tuesday after being ordered out of Argentina because of alleged irregularities in his documents.